God loves a trier...but not as much as football fans do. Dirk Kuyt ran, tackled and fought his way into fans' hearts at Utrecht, Feyenoord, Liverpool, Fenerbache and Netherlands with his versatility, never say die attitude and the ability to put the ball in the net when it really mattered. 2006 was a good year for Dirk. The industrious young forward picked up the second Dutch Golden Shoe award of his career and secured a move to the Premier League's Liverpool. A year earlier he had been the top scorer in the Eredivisie with 29 goals in a season. He traded being the main man at home to become a cult hero abroad as he made the switch to Merseyside. Kuyt's first season at Anfield almost ended with the biggest prize of all. After scoring 12 in the Premier League, the Dutchman was a pivotal part of the team that made its way to the Champions League final for the second time in three years. After a nervy semi-final against modern adversaries Chelsea, Kuyt struck the decisive penalty of the shootout to send Liverpool to Athens and another showdown with AC Milan. Liverpool may have ultimately been unable to replicate the heroics of Istanbul in their 2007 final against AC Milan, but Dirk Kuyt scored the late consolation goal which gave fans hope of pulling off some sort of similar comeback. Kuyt's second season saw him used more frequently out wide by manager Rafa Benitez, after the high-profile signing of Fernando Torres. He may have only registered three in the league in 2007/08 but Kuyt began to fully cement fan favourite status, with his unparalleled work rate and passion. Scoring two penalties to give Liverpool a 2-1 win over rivals Everton may also have helped his reputation somewhat. 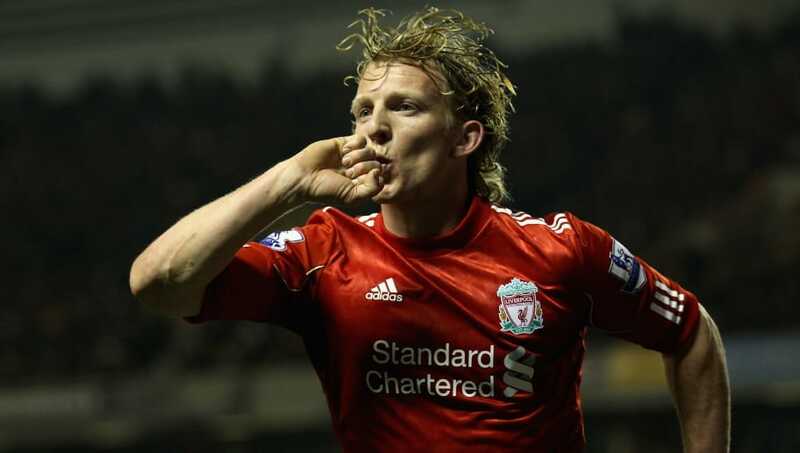 His best goalscoring season for the Reds came in 2012, as Kuyt netted 15 times in all competitions (13 in the Premier League), including - most famously - a hat-trick against the Reds' bitterest of rivals Manchester United. The combined distance of all three strikes was less than the distance to the penalty spot, and showcased his poaching instincts. The first effort was memorably set up by new boy Luis Suarez...what ever happened to him? Kuyt picked up his only silverware in six seasons in England in 2012, with a Carling Cup victory over Cardiff City. 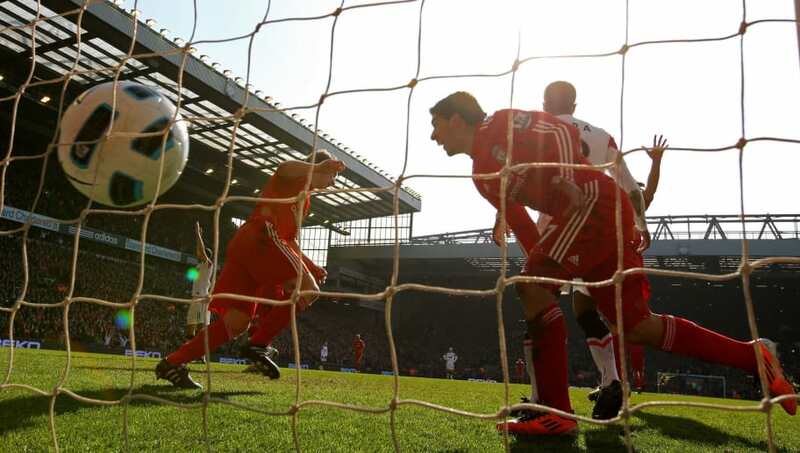 Despite being heavy favourites for the tie, Liverpool side laboured against the Bluebirds. Kuyt scored just five minutes after being brought on as a substitute for Andy Carroll, but couldn't prevent the tie going to a penalty shootout. Fortunately for Reds fans, Kuyt dispatched his spot kick superbly to help his side to a first trophy in six years. After leaving Liverpool in 2012, Kuyt headed for Turkey and Superlig giants Fenerbahce. In 2012, he bagged the 250th goal of his career but had to wait another two years for his very first league title. 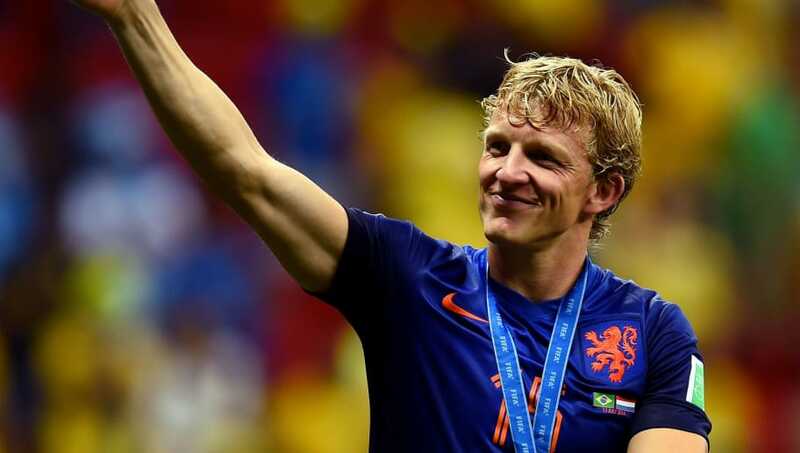 A regular for the Netherlands since 2005, Kuyt played at three World Cups and two Euros. He surpassed a tally of 100 caps in the World Cup in Brazil in 2014, in the second round victory over Mexico. In total he managed 24 goals in 104 appearances and was also a losing finalist in South Africa 2010. Kuyt's self-confessed greatest moment came right at the very end of his career. After returning home to Feyenoord, the 36-year-old led his side to a first Eredivisie since 1999...on the final day of the season...with a hat-trick. It's the sort of performance you might as well retire after. So he did. Congratulations, Dirk.